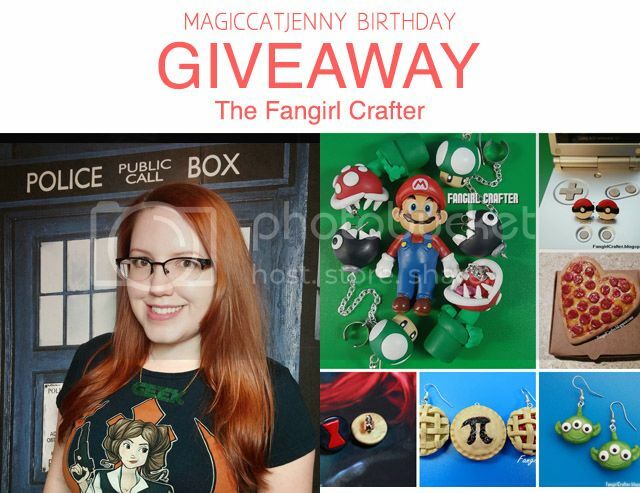 MagicCatJenny: Win a Handmade Polymer Clay Accessory! Win a Handmade Polymer Clay Accessory! This week's giveaway is for one handmade polymer clay piece up to $20 in value (an earring set, a necklace, a keychain, etc.) made by The Fangirl Crafter, Kelsey. The giveaway is only open to winners in the USA only. Hi everyone! I'm Kelsey, AKA the Fangirl Crafter. I make lots of geeky themed crafts inspired by things from movies, television shows, games, and books. My main forms of crafting are knitting, crochet, polymer clay, sewing, and glue gunning. Crafting has always been a hobby of mine, and has come in handy quite a bit whenever I needed something new and original. In the past few years I've been wanting more and more fandom merchandise that I haven't been able to find in stores (or was way out of my price range). That's when it hit me. 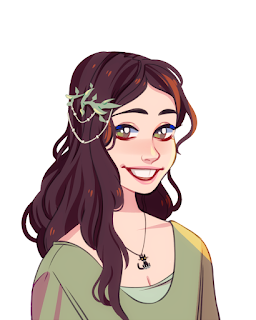 I can MAKE my fandom jewelry and accessory dreams come true! And you can too! So I set out to show the world what kinds of things geeky crafters can accomplish. The prize for this giveaway will be any necklace, ring, earring set, or brooch with a style of your choosing! It's completely up to your imagination what you can win! Here are some examples of my previous work in polymer clay to give you some ideas.